At 3:00am on Wednesday morning ATU Local 998 transit workers will go on strike to demand adequate time to allow for bathroom breaks on shifts, as well as halting plans to hire part time workers, who do not pay into the state retirement system or receive health care benefits. MTEA workers stand in solidarity with these striking workers and their demands and call on others to join them on the picket line. Pam Africa: Build the Movement! 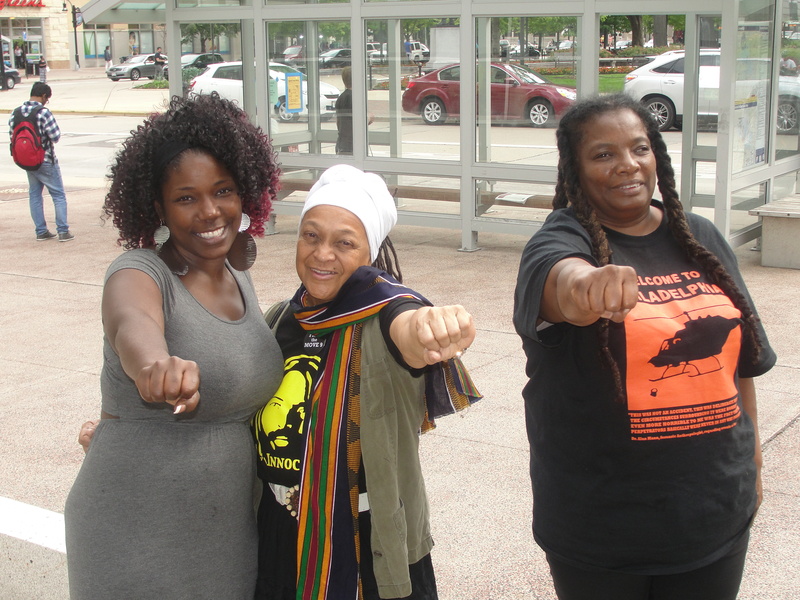 Pam Africa, Minister of Confrontation for MOVE and Chairwoman of the uncompromising International Concerned Family and Friends of Mumia Abu-Jamal, toured Milwaukee and Madison Wisconsin June 26-27 speaking and visiting with a variety of progressive and revolutionary activists. During the tour called “Conversations with Pam Africa: The MOVE 9, Mumia Abu-Jamal, Political Prisoners & State Violence,” she spoke at the National Coalition Of Blacks For Reparations In America (NCOBRA) national conference and at the Nation of Islam Mosque No. 3 in Milwaukee and at a Young Gifted and Black coalition sponsored event in Madison. Other stops included a Wisconsin Coalition to Normalize Relations With Cuba event for the Pastors For Peace caravan to Cuba and an interview with the people’s radio station Riverwest Radio. Everywhere Africa went she declared her solidarity with those fighting all forms of austerity including union busting in Wisconsin and worldwide and made special mention of youth and students fighting against all forms of capitalist state violence including racist police terror, starvation and imperialist wars. Africa’s appeals for Mumia Abu-Jamal were met with renewed vigor to fight for the life of this internationally renowned political prisoner who the state is presently trying to murder through medical neglect. Africa also described in detail at every tour stop, the unrelenting war of Pennsylvania state officials against the MOVE organization including the framing up of the MOVE 9 in 1978 and the suspicious deaths of two MOVE activists in prison and the bombing of a MOVE home May 13, 1985 that killed 11 men, women and children with city officials allowing a fire to rage that burned down 62 Black owned homes in the immediate vicinity of the bombing. A variety of organizations supported the tour including the sponsors Wisconsin Bail Out the People Movement and the youth group Fight Imperialism Stand Together (FIST) which sent delegations from their Rockford, Illinois chapter to all of the tour events. Organizations such as the the Latin American Solidarity Committee and the Madison chapter of Socialist Alternative assisted in publicizing the tour through social media. At the Nation Of Islam Mosque No. 3 June 27 event, the speakers panel included representatives from the Committee To Stop FBI Repression and Freedom Road Socialist Organization (Fightback) raising the case of Palestinian freedom fighter Rasmea Odeh, the Nation Of Islam, the Pan African Revolutionary Socialist Party, Rockford FIST, Wisconsin Bail Out The People Movement, Wisconsin Jobs Now and Workers World Party. 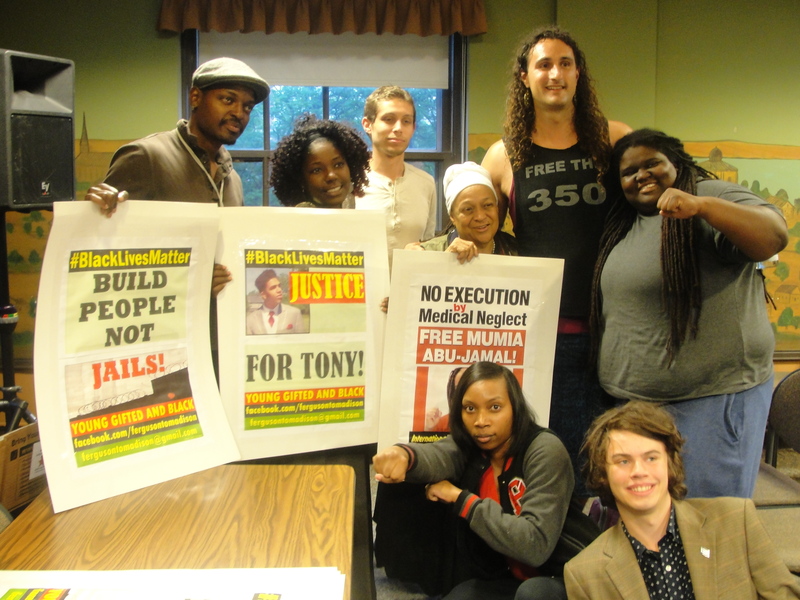 Pam Africa of MOVE Touring Wisconsin: Free Mumia! THEREFORE BE IT FINALLY RESOLVED, The entire ILWU Longshore Division prepare to support the ILA in any solidarity action they may call in response to these killings; and that Local 10 provide expenses for at least three members to travel to Charleston, SC. in order to participate in any such action.